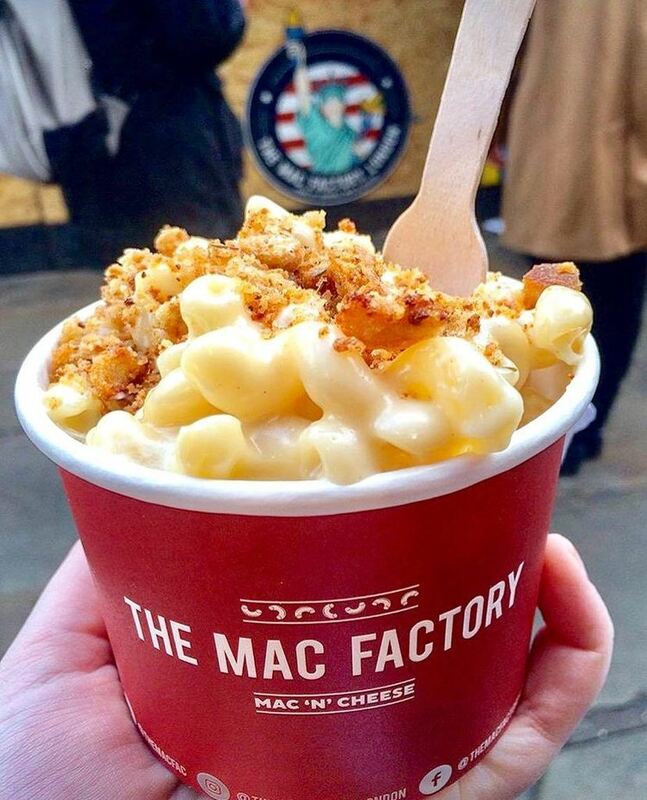 Finding London's best American food for delivery. In partnership with Deliveroo. 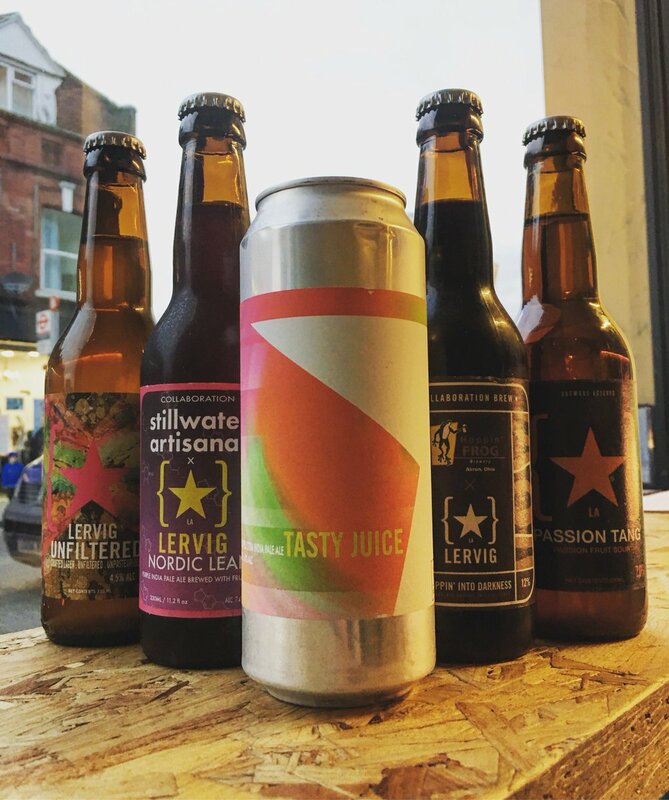 Get these rushed to your door: Beer + Burger in Willesden Green. Want a taste of the American dream without leaving your sofa? Thankfully we live in a miraculous age where the best ribs this side of the Rockies are yours at the tap of a smartphone. Gathered up here is our take on the best there is in London -- the shakes, burgers, hot dogs and chilli cheese fries making Americana great again. 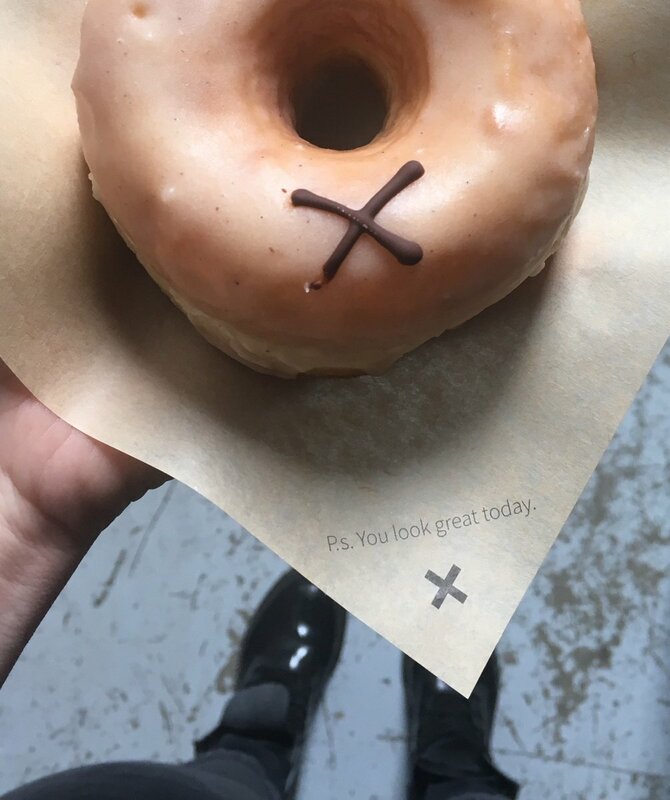 These doughnuts are worth crossing town for, but it's even better now you don't have to. 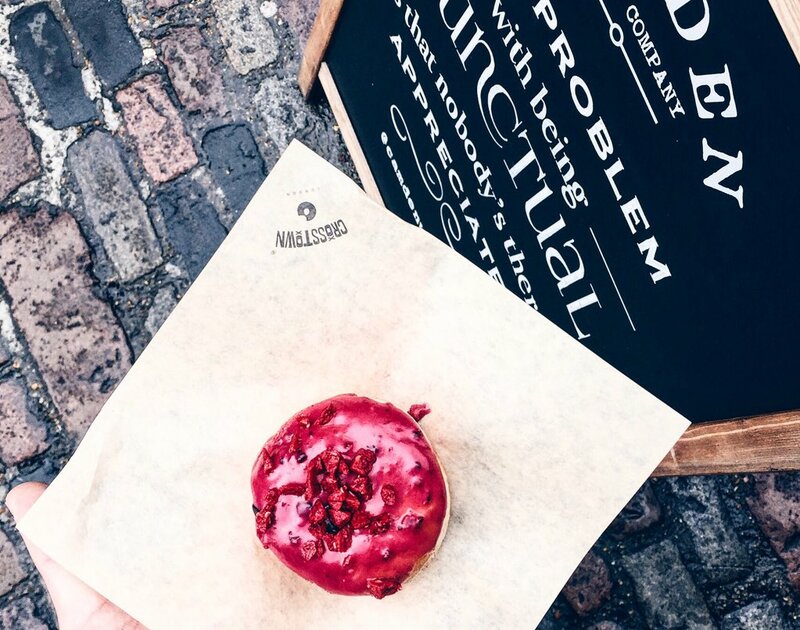 If you live or work near one of their delivery locations, somewhere between the Classics and the Seasonal Specials is the doughnut of your dreams. Of the former, the Peanut Butter Berry is the star, a square slab of the American dream topped with peanut butter icing, berry compote and nuts. Available to order on Deliveroo from the following locations. Please follow location for menu. This American chain describes its menu as "NYC comfort food", and, yeah -- beef short rib covered in sticky barbeque and burned onion sauce, hot wings, burgers stacked high with treacle bacon and their signature ribs... If "NYC" is code for "extremely meaty and enormously sticky" then that sounds about right. This Tooting burger restaurant offers a long delivery menu ranging from the classics to some less common combinations that aren't for burger purists -- with fillings including curried chicken, nachos, pineapple salsa and alfalfa sprouts (not all together!). For our money, the ones with chilli or chipotle twists -- like the Luchador, a burger topped with salsa, beef chilli, cheese and jalapeños -- are the winners. Or, controversially, forsake the burgers for the filthy caress of the Dirty Dog, topped with chilli, mustard and cheese. That's the meat sorted. On the shake front, keep watch for the occasional specials. Peanut Butter & Brownie, or Cherry Chocolate? These milkshakes should bring everybody to the yard. Available to order on Deliveroo from the following location. Please follow location for menu. 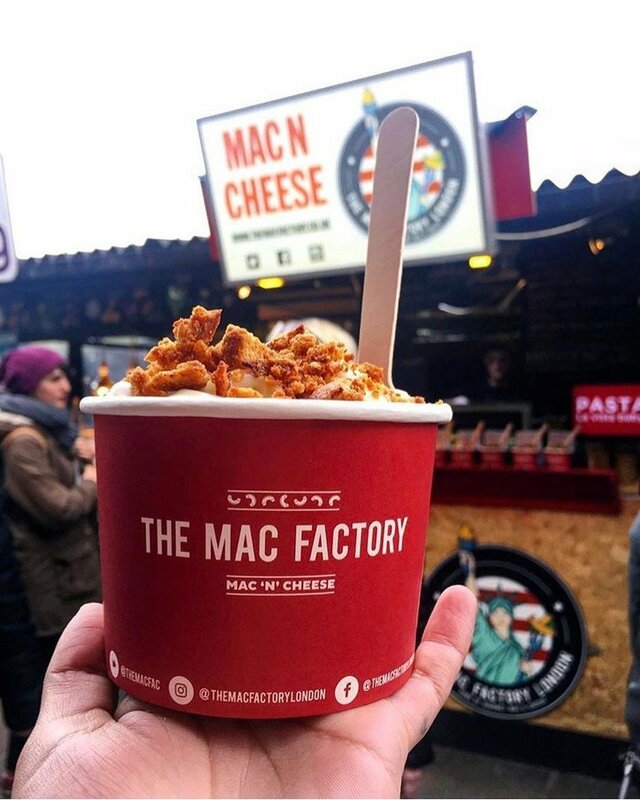 These canny people have based their entire menu on variations on mac and cheese -- classic comfort food, and theirs is particularly good. You'll find it sprinkled with Cajun spices, drizzled with truffle oil or punctuated with fire-roasted peppers, and topped with parmesan, thyme and sourdough crumbs. This Kentish Town restaurant is a mix of burgers, stews, steaks, sausages, grilled fish... all the good stuff. If you wanted to give it a corner of America to belong to you could point to the beans-and-roasted-hog stews or the venison, chestnuts and seasoned potatoes everywhere and call it Southern. The menu does read like a chapter of Cold Mountain -- that has to be untold points in its favour, right? -- but there are enough modern touches to please anybody after a roasted chicken leg, a rocket salad and a good wine list. Though if you can really bring yourself not to order Hog on Fire or Feast Stew, you're stronger than we are. Honestly. 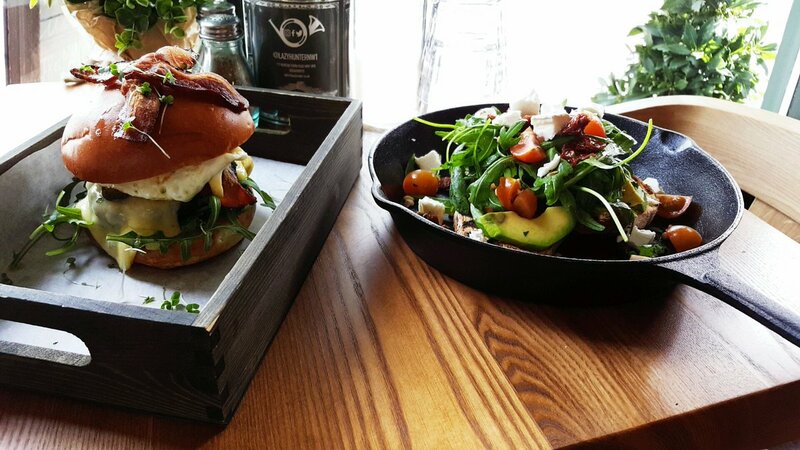 We know this is a big claim, but we also know, in our souls, that the burgers at this Willesden Green restaurant are the best in London. If you live in its delivery zone and can order one of the Bacon Cheeseburgers, side of fries, couple of rough-edged, gloweringly dark ales or summer-bright IPAs whenever you like -- then you, my friend, are the only person in the world allowed to use #blessed unironically. These guys use two patties in each burger -- which cook through faster than a thick wedge of burger, keeping them tender on the outside. Burgers are covered in cheese, "goop" (their signature, sticky sauce), and a high pickle presence that'll ruin you for all other burgers. Treat the Double Cheeseburger with reverence and caution -- it's three patties, double everything and 100% certainty you'll want to be horizontal on a sofa afterwards. This American chain describes its menu as "NYC comfort food", and, yeah — beef short rib covered in sticky barbeque and burned onion sauce, hot wings, burgers stacked high with treacle bacon and their signature ribs... If "NYC" is code for "extremely meaty and enormously sticky" then that sounds about right. Available to order in Shoreditch, Blackwall and Holland Park areas. Check Deliveroo website for exact delivery areas. 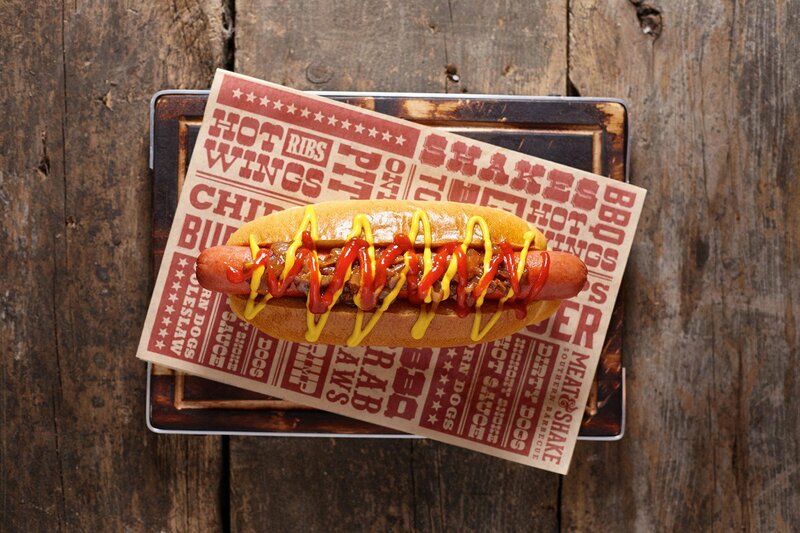 Other places popular on Deliveroo and ready to rush sticky ribs, burgers or cornbread to your front door are Chicago Rib Shack in Clapham and further locations, and — of course — Byron Burgers, with branches across London including Clapham, Chiswick and Highbury. 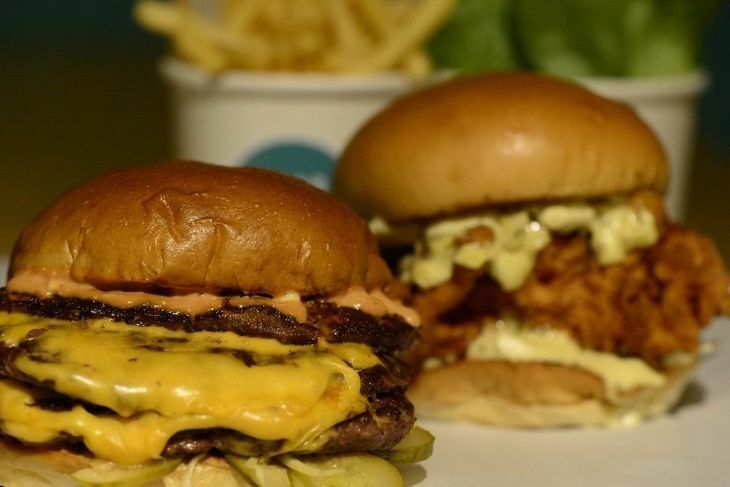 Check out the Deliveroo on offer in your neighbourhood here.